Winzeler Stamping Company has been established as a premier non-ferrous radiator filler neck manufacturer. The radiator filler neck business represents a special niche market for us and our superior performance has resulted in dock-to-stock relationships with many of our customers. 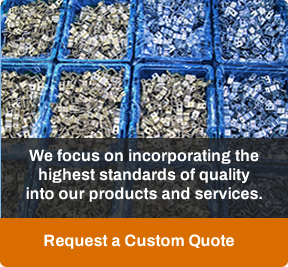 Quality is as important to us as it is to you. We are certified to ISO 9001:2015. Winzeler Stamping Company supplies small and medium radiator filler necks as found in SAE J164 for automotive, truck, marine and industrial liquid cooled engine applications. Automotive stamping is a key market segment of Winzeler Stamping Company and we have a wide variety of capabilities, including brass, steel, and aluminum stamping, and years of experience to serve the exacting demands of the industry while meeting customer specific requirements. In addition to filler neck blanks, we manufacture coordinating overflow tubes. 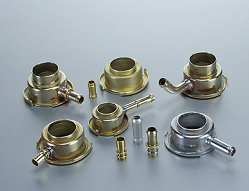 Overflow tubes can be assembled and brazed or can be sold as individual components. 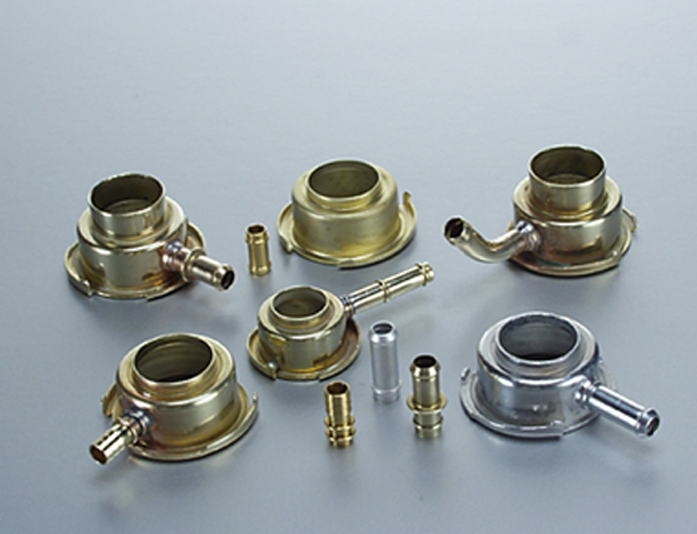 Our filler necks and overflow tubes are available in brass or aluminum, created using our efficient automotive stamping processes. Interested in a specific metal? You can read more about aluminum stamping and other metals and metal alloys in our materials overview.